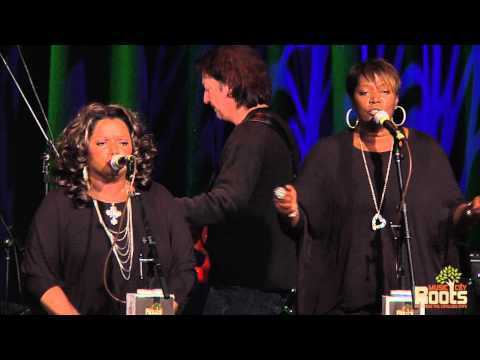 The list of artists the McCrary Sisters have collaborated with, both as a group and individually, reads like a stroll through the Rock and Roll Hall of Fame (Bob Dylan, Elvis Presley, Johnny Cash, Stevie Wonder), but with their exhilarating new album, ‘McCrary Sisters: Live,’ it’s clear that the McCrary women shine brightest when they’re center stage. Captured at Music City hotspot 3rd & Lindsley, the album marks the legendary quartet’s first concert release and showcases all of the ecstasy, passion, and heartbreak that have made them some of the most beloved and sought-after singers in Nashville. 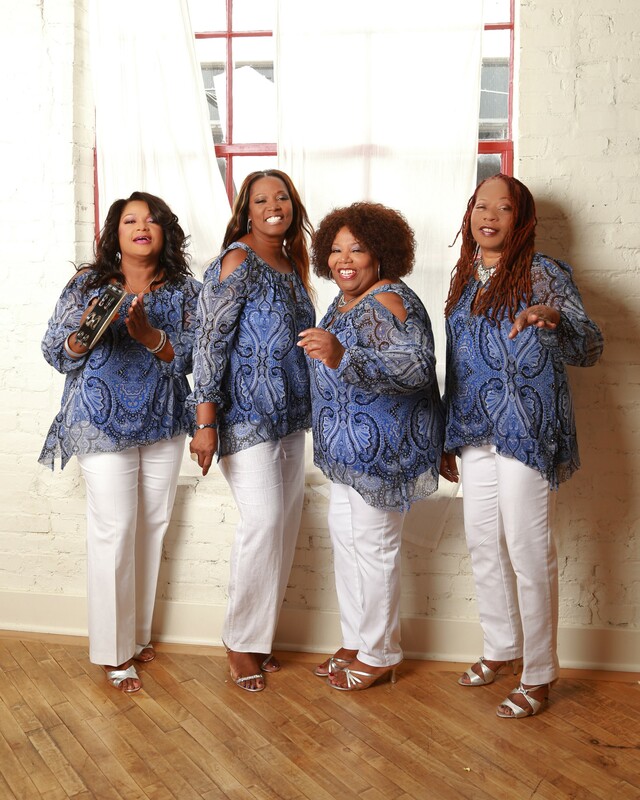 A typical McCrary Sisters show overflows with kind of inimitable magic that can only come from sharing your life and love and art with your kin, but the remarkable performances documented here find the sisters hitting new heights of raw power and emotion. It felt like all of Nashville turned out to celebrate the group that night, and the atmosphere on the album is absolutely electric as the sisters feed off of the adoring crowd. The energy in their voices is palpable, as is their sheer joy at being joined onstage by band members old and new along with a slew of special guests, including several of their nieces and daughters. Bridging generations through music is a McCrary family tradition. The sisters—Ann, Regina, Alfreda, and Deborah—were born and raised in Nashville, TN, where they learned to sing at a young age from their father, the Rev. Samuel McCrary. The reverend was an original member of The Fairfield Four, the iconic vocal quartet whose towering influence transcended gospel music and inspired everyone from Sam Cooke to B.B. King. The McCrary household regularly hosted traveling gospel artists including the Staple Singers and Shirley Caeser, but soul, R&B, blues, and country all had a place on their radio, which helped the girls develop into extraordinarily versatile singers. Marriage, careers, and family obligations took the girls their separate ways as they grew up, and over the years, they faced more than their fair share of personal tragedy and triumphs, but music always sustained them. Regina may have had the most prominent gig of the bunch, joining Bob Dylan on the road for eight years and singing on three of his albums, but each of the sisters continued to sing in award-winning choirs, on television, in studios, on stages around the world, and, of course, at home for the sheer love of it. Whether it was at Madison Square Garden or in the kitchen cooking supper, it didn’t matter; for the McCrary girls, to sing was to live. 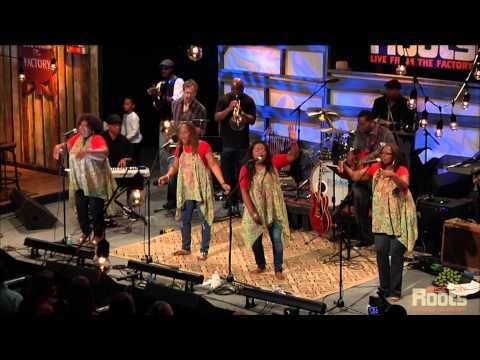 That effortless genre hopping is a hallmark of the sisters’ sound, and it’s at the heart of ‘McCrary Sisters: Live.’ On show opener “David Dance,” the band blends Afro-beat horns and Caribbean rhythms underneath the sisters’ spiritual vocals, while “Hum And Moan” is a slow burning, slide guitar blues, and “Stones” calls to mind the avant-funkiness of Prince & The Revolution. The sisters wrote or co-wrote every track on the album save for show-closer “I’ll Take You There,” and despite the varied musical ground they cover, the songs are all inextricably tied together through their optimism and resilience. The sisters sing of brighter days to come on “Train” and “Other Side Of The Blues,” assure us that we’re not alone with “He Cares” and “If You Believe,” and offer up a reminder that no burden is too great to bear if you have faith on “Help Me” and “Bible Study.” Perhaps the concert’s most affecting moment arrives with, “Let It Go,” a song which Deborah wrote in the aftermath of a debilitating stroke that nearly ended her days as a performer. That affection extends beyond the stage, too. In 2015, the sisters released their first book, ‘Cooking With Love,’ a collection of stories and recipes passed down from their mother, who was affectionately known in their family as Mudear. For the McCrary Sisters, showing love is what it’s all about. This album itself is an act of love: love for their family, who joined them on the stage and the audience that night to share in their joy; love for Nashville, which introduced them to a whole wide world of music all in one city; love for their fans, who would so often ask the sisters after concerts for a way to bring home the transcendent night of music they’d just witnessed; and most especially, love for each other. Like any family, the McCrary Sisters have had their ups and downs, but at the end of the day, there’s only one rule.